Sometimes our working conditions are not ideal for a mold removal and cleanup job, and such was the case in a Carver home crawlspace. And it’s jobs like this that earn our crew a special thanks, along with lunch on the company. The entry area for this crawlspace started out at four (4) feet but quickly tapered down to a wide area of 2.5 feet in height and with a dirt surface. The nature of our work is very detailed of necessity – – insulation removal, HEPA vacuuming, a good scrub of all affected surfaces, application of our anti-microbial spray – – and for our crew to have accomplished all of this in a 2.5 foot crawlspace was quite impressive. They stayed at it until the mold-ridden and infested (mice and their droppings) was clean and dry. After those Herculean efforts, The Pros treated the crew to lunch. 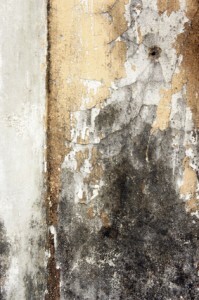 Removal and cleanup of mold is not always in easily accessible areas. Mold will grow anywhere so long as the necessary conditions of moisture and warmth are present. Even crawlspaces like this job in Carver will see the buildup of mold. Our crews are not afraid to get a little dirty to get the job done, as this instance proved. Remember – our mold inspections are FREE. So, if you suspect a mold buildup, even in your crawlspace, call us today and we’ll be there tomorrow.